Follow all major downtown signs to Ocean St. Then turn down Dakota Ave (towards the river). The Paradox Hotel is on the corner of Dakota and Ocean. 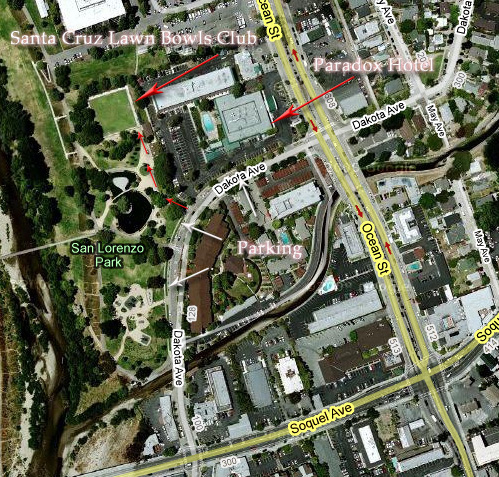 When you see San Lorenzo Park on your right, park your car and walk north past the duck pond towards the multi-story County Building. Keep going until you reach the chain link fence surrounding the green. The club house is on the right.